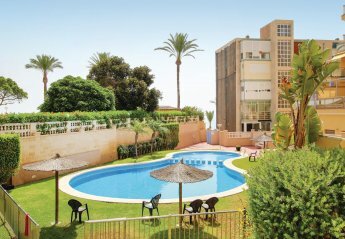 Found 25 holiday rentals in El Campello. A classic 5 bedroom villa, with secluded established garden, private pool, internet, UK TV and covered & open terraces. This harmonious and modern apartment is located on the ground floor. It has a large terrace with seating arrangements, a barbecue and sun loungers. Nestled in a quite countryside, this house has a beautiful garden and a large swimming pool. The outdoor kitchen in front of a shaded terrace invites you to the cosy barbecue evenings. 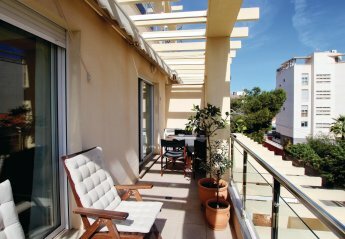 This inviting holiday apartment is located on the seafront. It has a shared pool area and parking space on the premises. 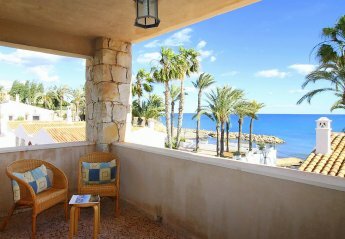 The balcony offers a magnificent view of the sea and the promenade. This modern holiday apartment offers a communal pool and a stunning large terrace that you can use almost year-round like a second living room. The beautiful beach. 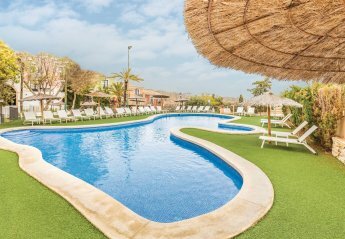 This beautiful and elegant holiday apartment is located in El Campello in the residential complex "Muchavista Beach" with communal pool, a stone's throw from the sea. 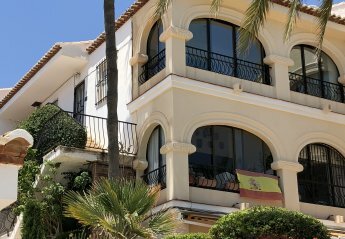 This 4 bedroom house with private pool is located in La Merced (El Campello) and sleeps 8 people. It has WiFi, air conditioning and a garden. 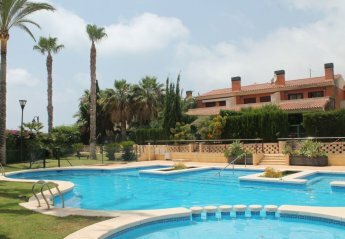 This 2 bedroom apartment with swimming pool is located in La Almadraba and sleeps 4 people. It has WiFi, a garden and parking nearby. The apartment is walking distance away from golf and beach. This 1 bedroom apartment is located in La Almadraba and sleeps 3 people. It has WiFi and a garden. The apartment is walking distance away from golf and beach. 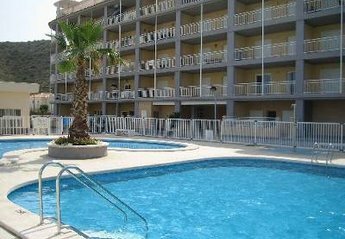 This 2 bedroom apartment with swimming pool is located in El Campello and sleeps 4 people. It has a garden, parking nearby and a gym. The apartment is walking distance away from golf and beach. This 3 bedroom apartment with swimming pool is located in Playa Muchavista and sleeps 6 people. It has WiFi, air conditioning and a garden. The apartment is walking distance away from golf and beach. This 2 bedroom apartment with swimming pool is located in Venta Lanuza and sleeps 4 people. It has air conditioning and a garden. The apartment is walking distance away from golf and beach. 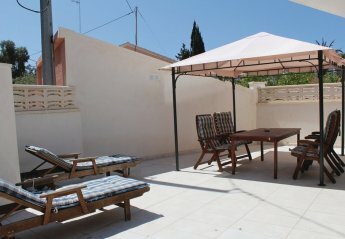 This 1 bedroom apartment is located in La Almadraba and sleeps 2 people. It has WiFi and a garden. The apartment is walking distance away from golf and beach. This comfortable apartment is located in a quiet cul de sac in El Campello, just a three minute walk from the nearby sandy beach and a five minute walk to the nearest tram stop. This 4-bedroom villa for up to 8 guests is located in El Campello and has a private swimming pool. This 3 bedroom apartment with shared pool is located in is located in Playa Muchavista and sleeps 6 people. It has parking nearby. The apartment is near golf. 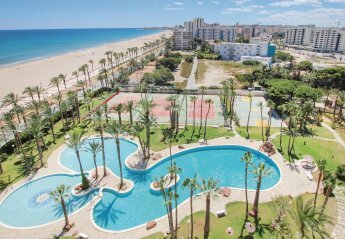 Front Line, Top Floor 2 Bed / 2 Bathroom apartment with fantastic sea views in the popular urbanization of Pueblo Espanol, El Campello. 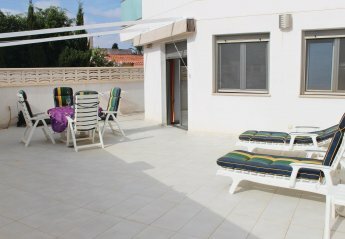 This 2 bedroom house with swimming pool is located in El Campello and sleeps 4 people. It has air conditioning, garage and parking nearby. The house is walking distance away from golf and beach. 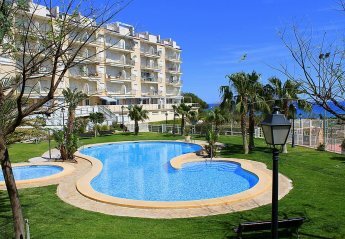 This beautiful apartment in El Campello on the Costa Blanca is located in a well maintained complex with access to the communal pool. On 65 m² you will find 2 bedrooms, 2 bathrooms. 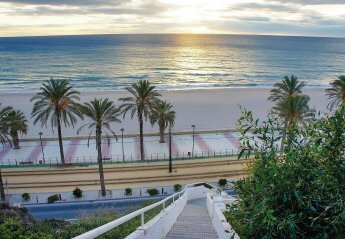 Looking for holiday lettings in El Campello? We are in the process of placing rental properties in El Campello on this page. Please enter your name and email address below and our team will email you our selection of properties in El Campello. And this is a FREE service!